I would love to, just completed a Spanair set myself. Although I think for requests there needs to be a certain template or something. 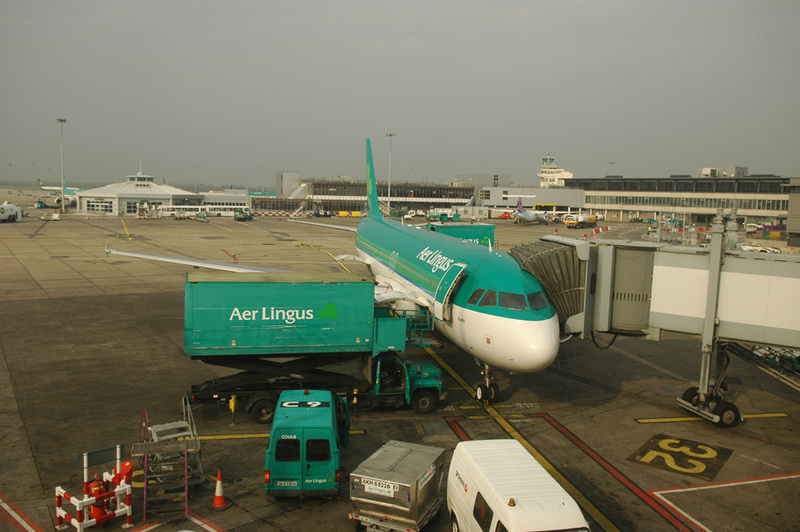 I haven't been to Dublin Airport in a while and just can't remember which ground handling agency serve Aer Lingus etc. There's so many options we can make while repainting but for example I have no idea which is correct! Let me know if you want, a few more details about your request. 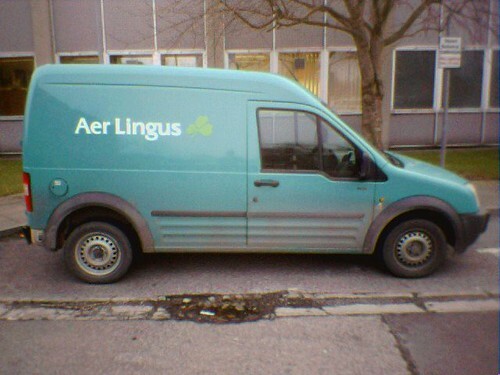 Just pop an aer lingus logo on everything? 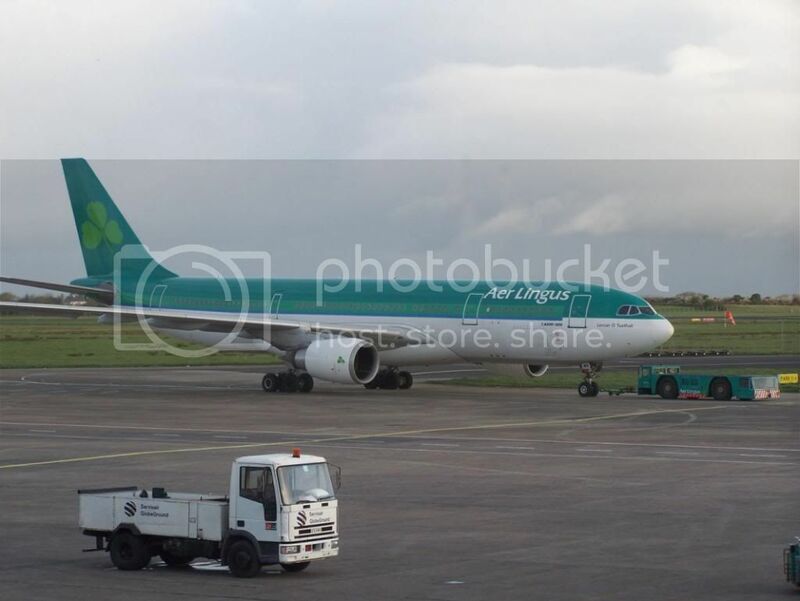 Is there a particular ground handling agency that you normally see with Aer Lingus? Then there are buses what do the buses look like? Who provides the catering and fuel? 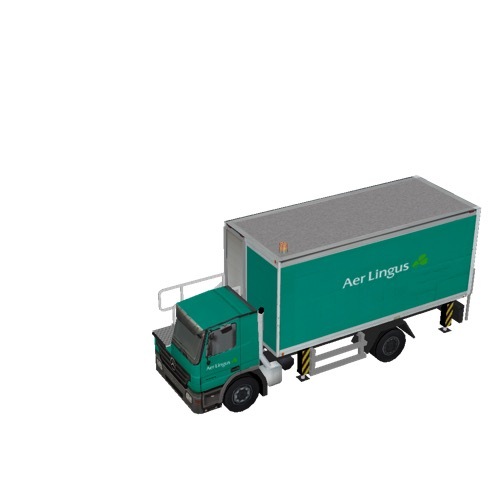 You see I could just slap Aer Lingus logos and DAA on everything but then it wouldn't be realistic! Hehe so please let me know a few more details and pictures would be a great tool aswell. Maybe a KLM custom set?? Buses if we use them rarely are DAA or we have a few old ones around still I think. Pushback Tug is EIN colours again. Water Services Vehical, again EIN colours. 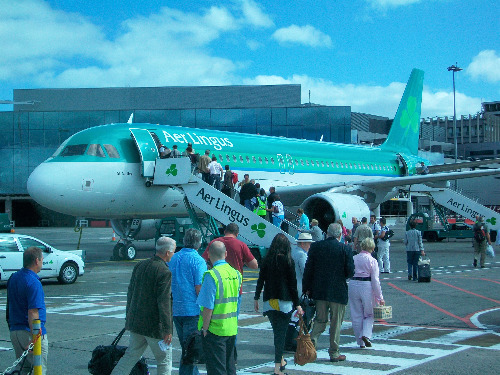 The baggage loaders are practically the same idea, I can't quite find a pic though. I know texture artists like to get side on images, but I'm afraid this is the best I can do at short notice. That's fantastic thankyou Rónán. Not to worry about side on views it's not necessary. I will get on it when I can! Chris that's great many thanks for pics and Jeffrey too! Out of interest, will it work in both FSX and FS9, as the Spanair one only has FS9 written on it in the Download section, but I'm not sure if it'll work in both? Good question, the Spanair kit was indeed designed for FS9. But I have followed all the rules outlined in the manual and thus it should work for FSX aswell. There seems to be a texture problem with one of the Spanair Catering Trucks. Uli thanks for your observation. Particularly in this case I designed the Spanair catering trucks to fit just with it's sized fleet and didn't expect the Spanair fleet to use larger catering trucks. I did make larger textures in case somebody had a bigger plane but quite clearly that hasn't turned out very well! I've found the problem now thanks for letting me know and will update it A.S.A.P!